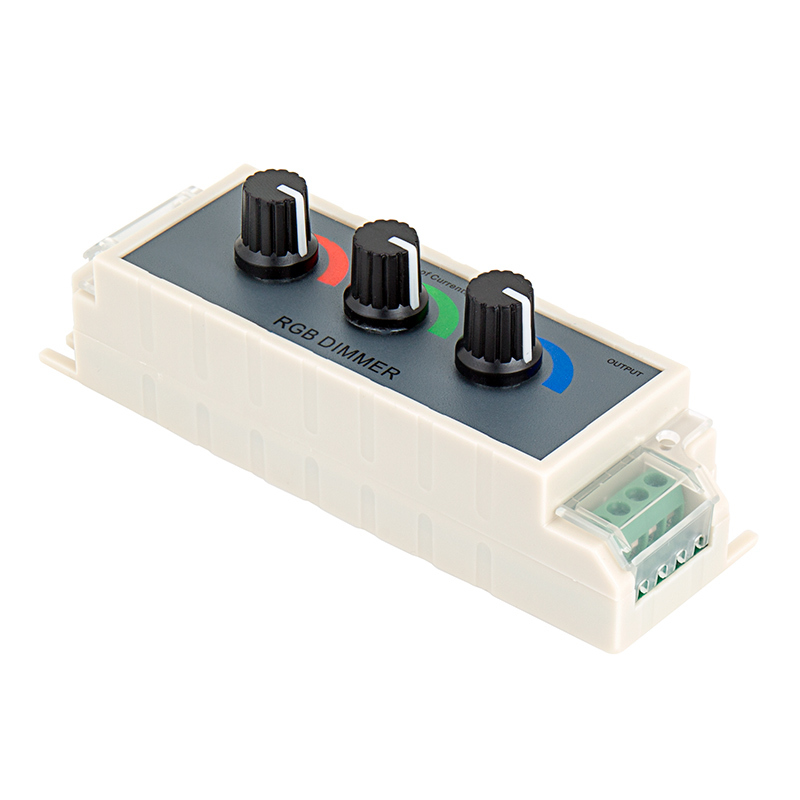 Universal Red/Green/Blue (RGB) LED dimmer can dim any 12VDC RGB LED products from 0 to 100% using Pulse Width Modulation (PWM) circuits. 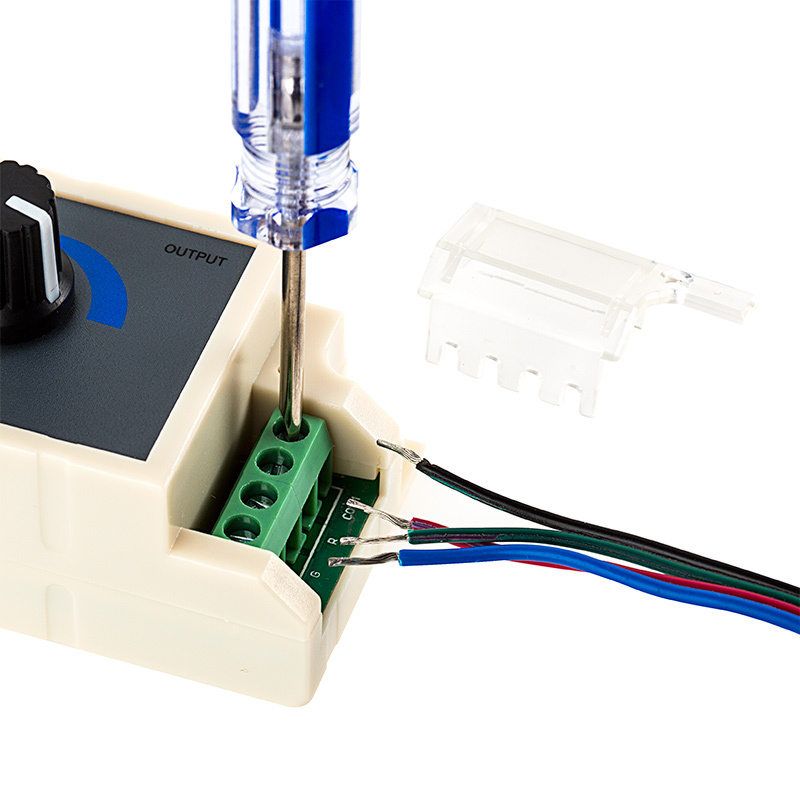 Knob controls for full range custom color creation. Maximum load is 3 amps per channel, 9 amps total. 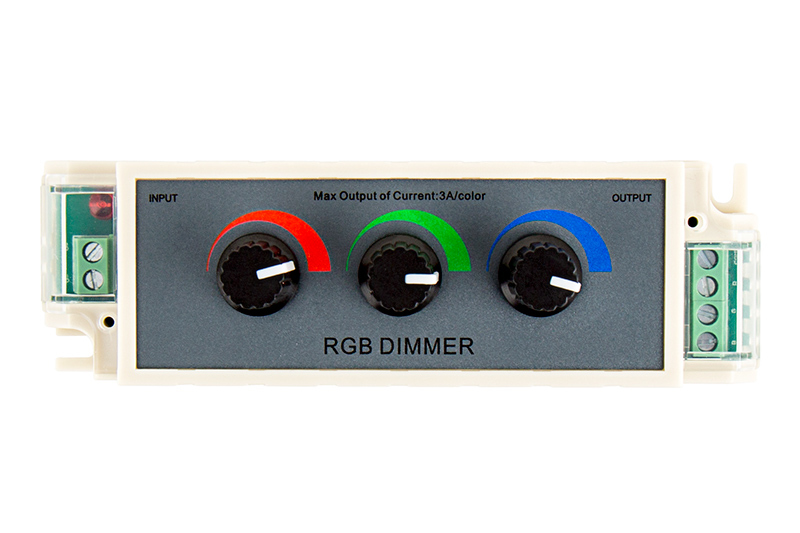 Universal Red/Green/Blue (RGB) LED dimmer can dim any 12VDC RGB LED products from 0 to 100 percent using Pulse Width Modulation (PWM) circuits. 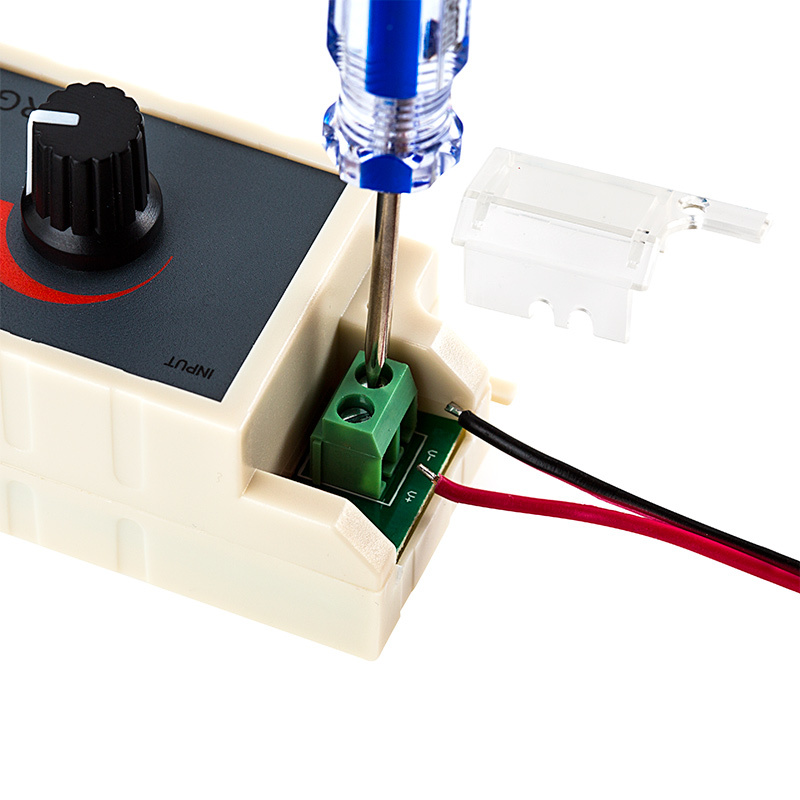 Knob controls for full intensity adjustment range and manual custom color creation. 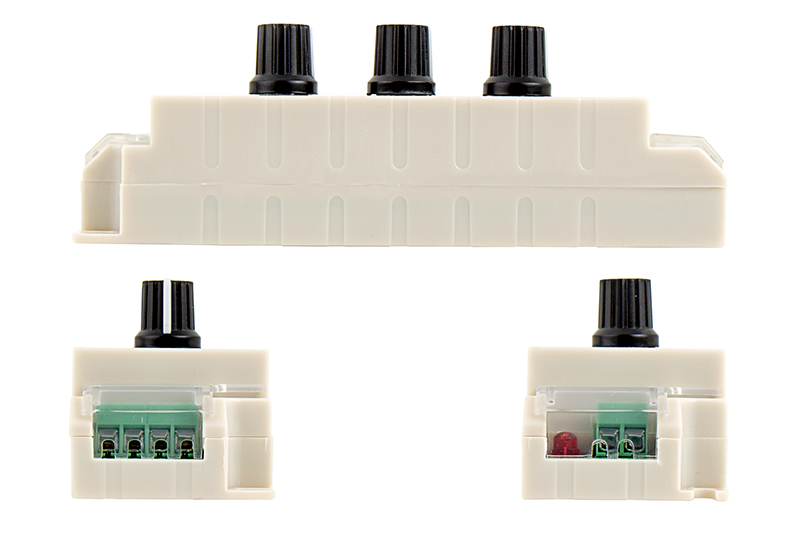 Maximum Load is 3 Amps per channel (9 Amps total) , has screw terminals for power in and out connections. 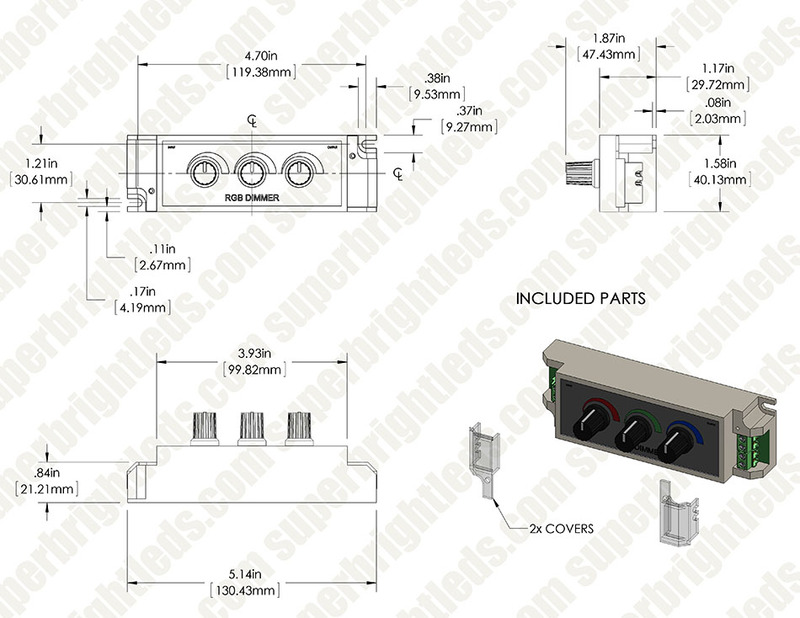 Supply voltage of this product is 12 Volts DC, do not exceed. Shorting output wires my cause damage to dimmer. For indoor use only - this product is not waterproof or weatherproof.